Stamps: 'Fleur Anya' by TGF, available HERE from DTDF. 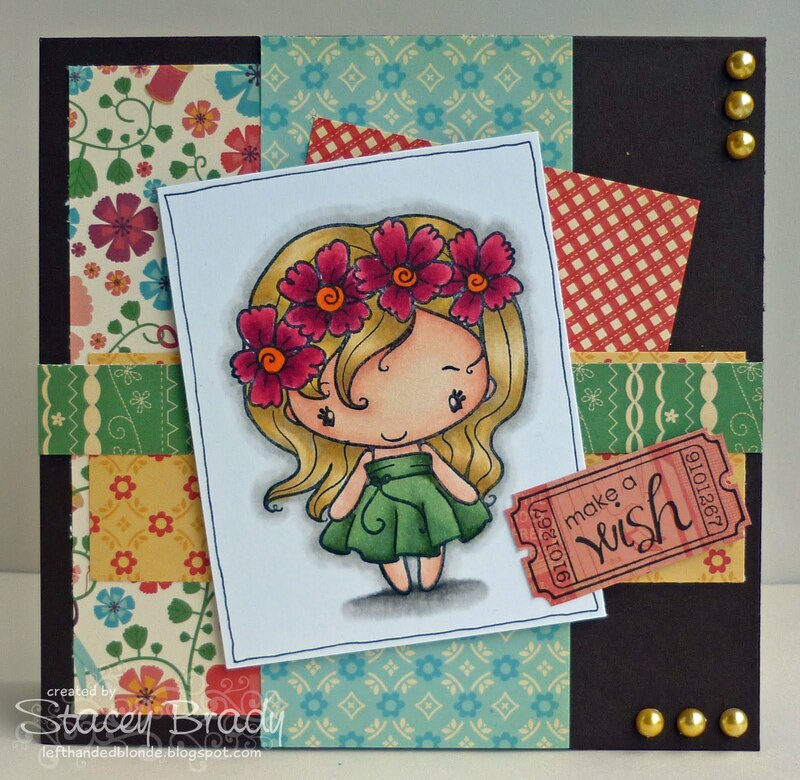 Sentiment: 'Ticket Sentiments' by Whimsy Stamps. Paper: 'Material Girl' by Cosmo Cricket, available HERE from DTDF. Copic Markers: E00, E02, E11, E50, R32, R35, R37, R59, YR04, YR07, YR23, YR26, Y21, G21, G85, G94, W1, W3, W5, W7 - available HERE from Dies to Die For. Embellishments: Pearls from stash coloured with Copic markers. Stacey...I just love this style of card too! your colours are ace and so is your colouring. Definetely a chill in the air up this way!! This is one of my all time favorite TGF stamps! Your card is super adorable. Love all of the different papers and your coloring is awesome! So cute Stacey! Love the summery feel and the fab LO! So, so cute!!! Love all the colors and the sentiment on the ticket!! stacey, this is super cute! love the bright colors and love the ticket. I love your gorgeous coloring and your assortment of papers. Sweet summer card!! That's a wonderfull card Stacey! Stunning colouring and I love the layers of patterned paper - so happy and colourful! Cool paper layers!! Love the image too--super cute!